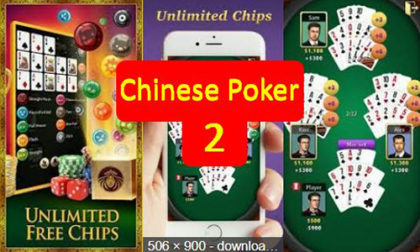 Following an announcement by China’s Ministry of Culture that poker will no longer be recognized as a competitive pastime, the country’s authorities have launched a ban on social games and platforms offering Texas Hold’em Poker applications for use on mobile devices. 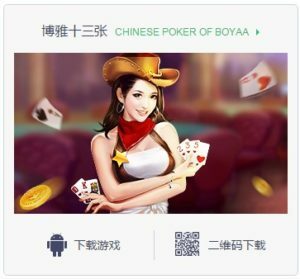 The pending ban is likely to have some impact across a wide swath of the China-facing social-gaming niche, but no company is likely to be hit harder than China’s Boyaa Interactive, which offers “Texas Poker,” Boya Dezhou Poker,” and other titles. Over half of Boyaa’s revenue is derived from poker-themed social-gaming offerings. Boyaa’s games, as with many other companies’ offerings, are expected to be yanked soon from mobile-device app stores. The ban will also be extended to chat platforms serving the China market, including Tencent, the company which struck a deal with the World Series of Poker last July to help grow poker in China. According to AGT, Tencent has already yanked its Chinese WSOP app, as well as blocking access to poker-themed discussions at its popular WeChat site, though the ban is not slated to go into full effect until June 1. “The third Boyaa Poker Tour, our specially organized competition, was successfully held in the fourth quarter of 2017, which increased our brand’s awareness and players’ loyalty, enabling us to continue our steady steps towards becoming an internationally recognized poker game competition brand. China’s CCTV News recently ran an exposé on the alleged real-gambling aspects of the poker apps available to Chinese players. The exposé asserted that the social-poker games were being used as a “gambling tool” in a manner not dissimilar to that found at the core of the Washington State (US) legal case involving social-casino games, and were thus gambling. For a long time, certain categories in the mobile game field always involve more or less “gambling” elements, whether it is the “punching” mechanism of some major mobile games or the more direct game of chess or even slot machines. All use the hearts of players in the “gamble” mentality. [Several games] that were exposed by CCTV all use Texas Hold’em as a gambling tool. This is a big [element] in the card game. Players are all over the world, but in the hands of [Boyaa,] and after the popularization of the tour, many so-called “Dezhou Mobile Games” are known for their leisure and entertainment; they are essentially hidden gambling games and scams. Boyaa Interactive’s share price dropped by more than 12% in the first day after the crackdown.